Millions of Russians look forwards to welcoming visitors from across the globe to the 2018 FIFA World Cup. They will proudly show their country from its best side and share their excitement over a game that unites almost all countries in the world. But along with the fans and the football players come the camera crews and the journalists, many of whom will be visiting Russia for the first time. Russian authorities can be expected to use the opportunity to promote a positive image of the country – as governments generally do at such occasions. However, Russia’s authorities are also likely to use this opportunity to target these journalists with some of their classic disinformation. 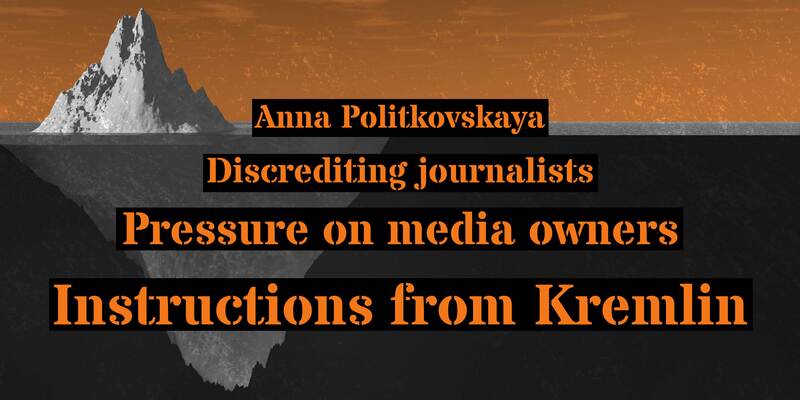 Different international advocacy groups have already been stepping up their communications in order to raise awareness among journalists of the problems Russian society is facing, specifically in the field of civil and human rights. This work has, for example, led to the publication of two handbooks aimed at media professionals who will be covering the World Cup in Russia: a Human Rights Guide For Reporters: 2018 FIFA World Cup in Russia from Human Rights Watch, and a Handbook for Journalists Covering the 2018 World Cup in Russia, published in English by a group of Norwegian NGOs, which includes Amnesty International Norway and the Norwegian Helsinki Committee. While human rights are a serious issue in Russia, it is not the only area of concern for Russian government communicators and pro-Kremlin media. 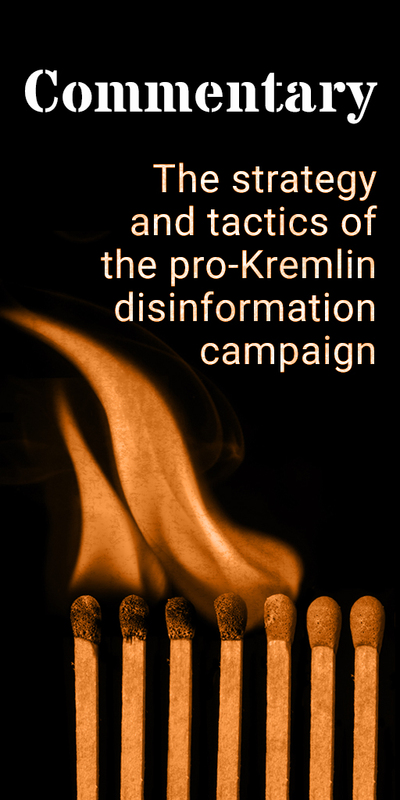 Based on almost three years of weekly reporting and analysis of the pro-Kremlin disinformation campaign, we have identified five different kinds of problematic messages, which, in our view, Russian authorities and the media they control are likely to try to spread in connection with the FIFA World Cup. A number of different factors turn Russia into one of the world’s most unfree and most state-controlled media environments. Many will agree that, ideally, sports and politics should be kept separate. President Putin has made that claim on many occasions, for example in an interview with ABC News in May 2017, where he said that “sports […] has nothing to do with the political agenda, and neither should it”. This statement, however, becomes problematic in the light of the year-long campaign of politically motivated attacks to discredit international anti-doping organisations by a group of hackers, which has been linked to Russian authorities by Western governments and security experts. The most recent of these hack and accuse operations was carried out against the Swedish Sports Confederation. Russian athletes were banned from competing under Russia’s flag in the Olympic Winter Games in Pyeongchang due to systemic manipulation of anti-doping rules in Russia during the 2014 Olympic Winter Games in Sochi. But instead of acknowledging the problem, it is systematically presented in Kremlin-controlled media as an anti-Russian conspiracy and a “war against Russia“. This video shows how analyst Ben Nimmo’s definition of propaganda as “four D’s – dismiss, distort, distract and dismay” – gets translated into Russian messaging about the country’s Olympic ban on Russian TV. The numbers speak a clear language: Russia ranks as country number 135 out of 180 in Transparency International’s Corruption Perception Index. Russia is number 148, also out of 180, in the World Press Freedom Index. And Russia’s democracy score is 6.61, with 1 as most democratic and 7 as least democratic, according to Freedom House. 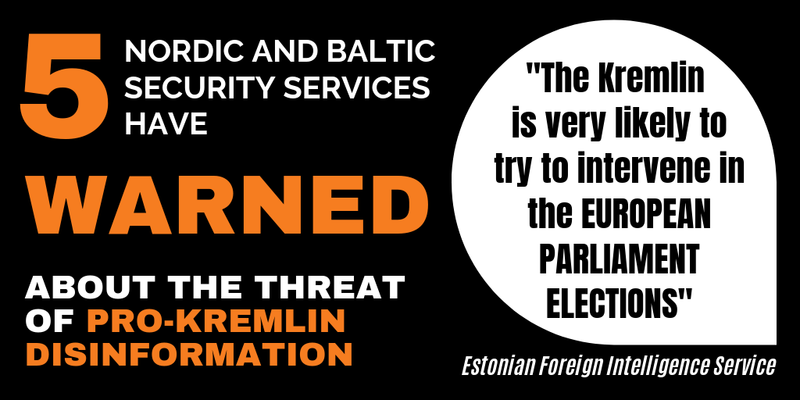 Disinformation is used to cover up human rights violations, to distract audiences from facts and to intimidate and misrepresent Russians human rights defenders and international NGOs as traitors who work as agents for foreign governments. And there is a direct line between media attacks on the LGTBI community and what happened in June 2016 when a member of the executive committee of the Russian football union, Vladimir Markin, praised Russian football fans for attacking other fans because, as he sees it, “[Europeans] are surprised when they see a real man looking like a man should. They are only used to seeing ‘men’ at gay parades”. Russian state media will insist that the problem in relations between Russia and the West is not due to Russia’s illegal annexation of Crimea and Russia more generally breaking fundamental, internationally acknowledged rules. Instead, Russian state TV actively promotes stories about the West having an anti-Russian fixation, the so-called “Russophobia”, and that these alleged sentiments are behind the challenges to the relationship. For example, after the Skripal poisoning in Salisbury, pro-Kremlin media claimed that the incident was in fact staged in order to create a pretext for a Western boycott of the FIFA World Cup. In Russian state media it was claimed that the Skripal poisoning case from Salisbury is in fact an operation aimed at mobilising a boycott of the FIFA World Cup. 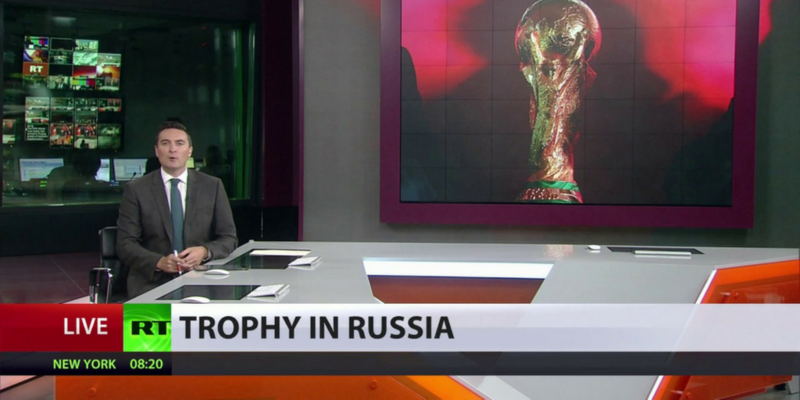 If one considers that international sports organisations are often labelled in Russian media as an anti-Russian “Anglo-Saxon sports mafia”, it is clear that international sports events, such as the FIFA World Cup, provide an opportunity to artificially bolster a misconception of Russia being the victim of an international conspiracy. RT (Russia Today), which broadcasts in English, but also in French, Arabic and Spanish, systematically spreads incorrect information, sometimes in embarrassing ways. RT’s chief editor speaks about the channel as a military organisation and, as all Russian state media, it receives instructions from the Russian government about which editorial lines to follow. Read our article with three things you should know about RT and Sputnik. Update: In an earlier version of this article we mistakenly attributed a quote (“[Europeans] are surprised when they see a real man looking like a man should…”) to Igor Lebedev. The quote is now correctly attributed to another member of the executive committee of the Russian football union, Vladimir Markin.